Earlier this year, the fat-burning effects of green coffee bean extract – an extract touted by daytime TV's Dr. Oz as a "miraculous" weight-loss aid – were called into question by the Federal Trade Commission. Now, the 2012 study purporting to demonstrate the extract's effectiveness has been retracted. "The sponsors of the study cannot assure the validity of the data so we, Joe Vinson and Bryan Burnham, are retracting the paper," write the authors, who originally published the article in a 2012 issue of Diabetes, Metabolic Syndrome and Obesity: Targets and Therapy. ...in 2010, Austin, Texas-based AFS paid researchers in India to conduct a clinical trial on overweight adults to test whether Green Coffee Antioxidant (GCA), a dietary supplement containing green coffee extract, reduced body weight and body fat. The FTC charges that the study's lead investigator repeatedly altered the weights and other key measurements of the subjects, changed the length of the trial, and misstated which subjects were taking the placebo or GCA during the trial. When the lead investigator was unable to get the study published, the FTC says that AFS hired researchers Joe Vinson and Bryan Burnham at the University of Scranton to rewrite it. Despite receiving conflicting data, Vinson, Burnham, and AFS never verified the authenticity of the information used in the study, according to the complaint. According to the FTC, the followup study by Vinson and Burnham was "so hopelessly flawed that no reliable conclusions could be drawn from it." For instance, while study authors Vinson and Burnham claimed the investigation to be randomized, double-blind, and placebo controlled, the construction of the study was such that researchers and test subjects could easily deduce which treatment period participants were receiving. In spite of these and other flaws, AFS used the study to promote the benefits of green coffee extract by falsely claiming it to cause "consumers to lose 17.7 pounds, 10.5 percent of body weight, and 16 percent of body fat with or without diet and exercise, in 22 weeks," according to the FTC. In settling the charges leveled against it, AFS has agreed to pay $3.5 million, "and to have scientific substantiation for any future weight-loss claims it makes, including at least two adequate and well-controlled human clinical tests." While Dr. Oz says he does not receive kickbacks from companies whose products he promotes on his show, he remains inextricably linked to the hype surrounding green coffee extract, to the botched studies that purport to demonstrate its effectiveness, and to the company, AFS, that funded those studies. 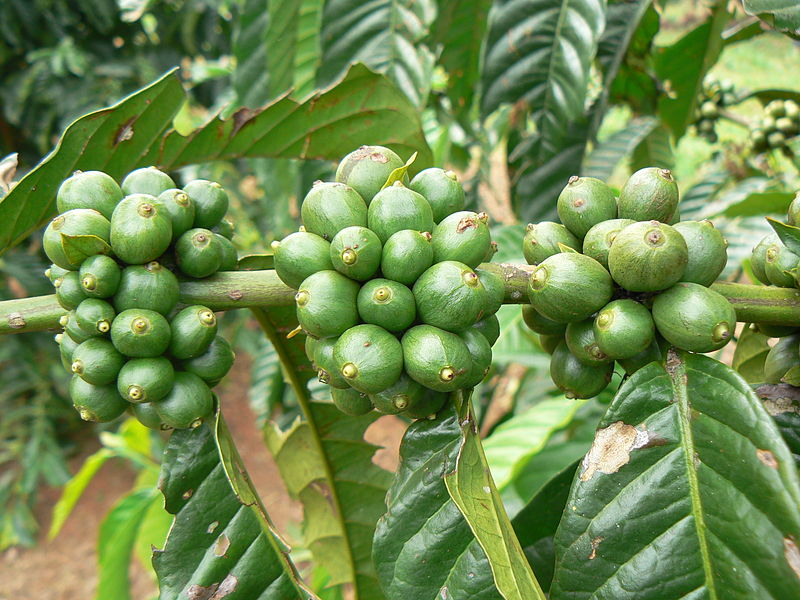 Oz promoted green coffee beans on his show, where he referenced Vinson and Burnham's study and described the beans as "magical" and "miraculous" weight-loss aids. Soon thereafter, sales of the beans and their extracts exploded. AFS capitalized on the publicity provided through Oz's show by issuing a press release highlighting the segment. In that press release, AFS claimed that study subjects shed pounds "without diet or exercise," even though subjects in the study were instructed to restrict their diet and increase their exercise. If you're looking for a takeaway from all this, consider the words of none other than Dr. Oz himself. Earlier this year, he was called before congress to defend his breathless promotion of dubious supplements like green coffee extract. When asked if he believed in the existence of a magic weight-loss cure, Oz replied "if you're selling something because it's magical? No." His response highlights the stark contrast between Dr. Oz the TV personality and Mehmet Oz, the distinguished cardiothoracic surgeon. "My job on the show," he told congress, "is to be a cheerleader for the audience." Well intentioned, perhaps – but hope and inspiration should never come at the expense of integrity, especially when it comes to medicine. On matters of health and wellness, your best bet is not to follow the advice of Oz the daytime television host, but Oz, the real-life doctor. Oz, the Hippocratic oath-taker. Oz, the physician who does not twist dubious science into hour-long television specials, but one-sentence truth-bombs: "There's not a pill that's going to help you, long-term, lose weight [and] live the best life, without diet and exercise," Oz said before congress. Now there's an endorsement we can get behind.